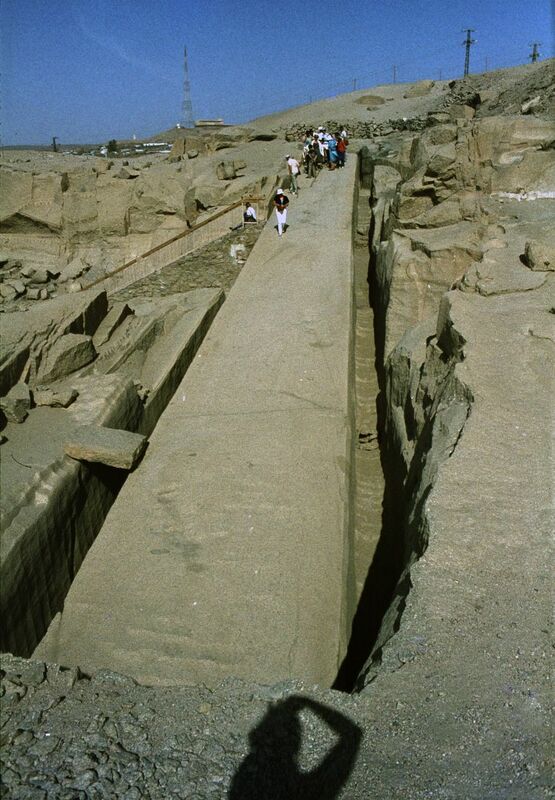 The unfinished obelisk is the largest known ancient obelisk and is located in the northern region of the stone quarries of ancient Egypt in Aswan (Assuan), Egypt. It was ordered by Hatshepsut (1508–1458 BC), possibly to complement the Lateran Obelisk (which was originally at Karnak, and was later brought to the Lateran Palace in Rome). 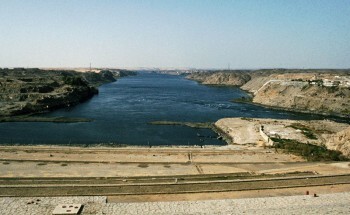 It is nearly one third larger than any ancient Egyptian obelisk ever erected. If finished it would have measured around 42 m (approximately 137 feet) and would have weighed nearly 1,200 tons. 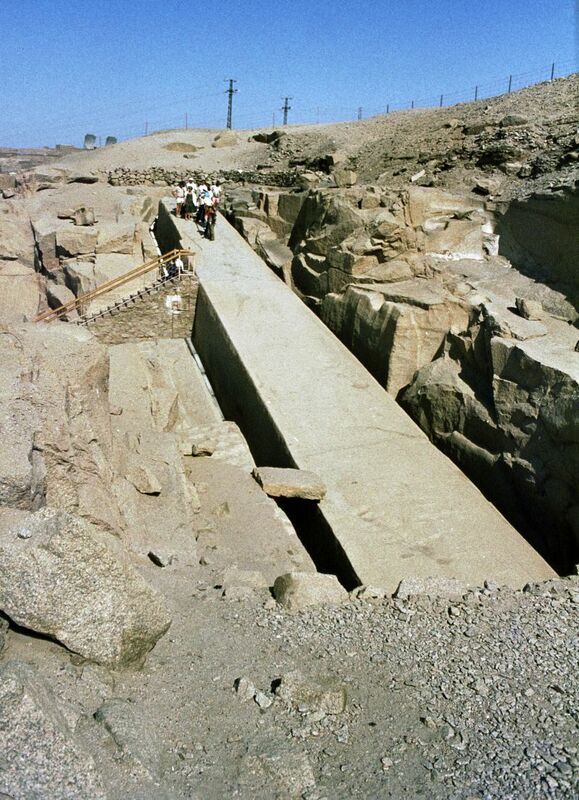 The obelisk’s creators began to carve it directly out of bedrock, but cracks appeared in the granite and the project was abandoned. The bottom side of the obelisk is still attached to the bedrock. 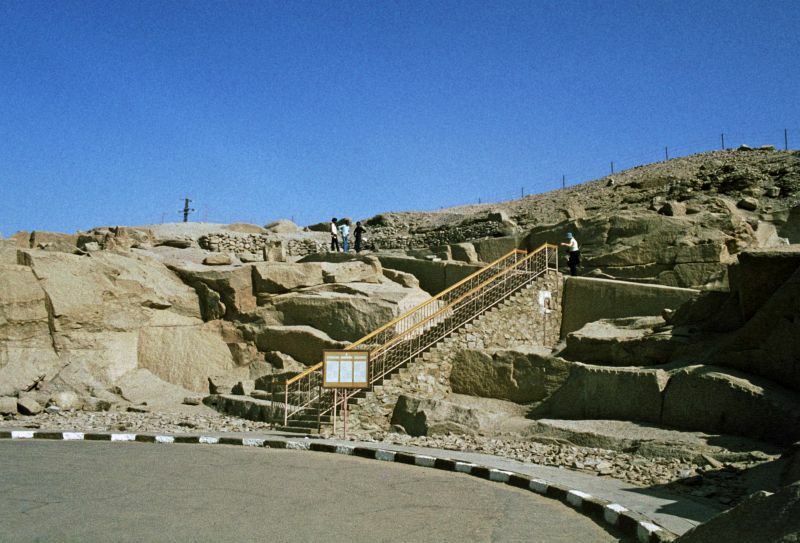 The unfinished obelisk offers unusual insights into ancient Egyptian stone-working techniques, with marks from workers’ tools still clearly visible as well as ocher-colored lines marking where they were working. Selfportrait on he bottom as shadow!